Welcome to The Schools' Red Mason Bee project and Buzzline! Visit this page on the See Nature website every week next term to learn about Red Mason Bees and the important work that they do. 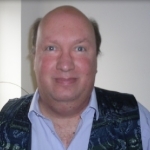 To hear this page read out to you, by me Matt, just click on the audio link above …… and oh yes before I get started, have a look later at the super learning resources about Bees. 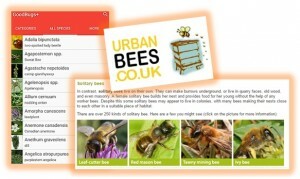 Go on, download the apps about Bees and watch and listen to these on your phone or tablet? Fact of the Week: Red Mason Bees do not sting. They are the only bees legally allowed to be kept on allotments. Meet the Red Mason Bee that you will see this spring and summer in your school webcam Bee Box. The Red Mason-bee (the Latin name is Osmia rufa) can be seen in towns, cities and villages across England, Wales and Southern Scotland. It is a solitary bee that prefers its own company to that of others. 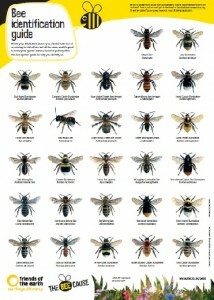 In Britain today there are over 270 different species of bees of which about 250 are solitary bees. 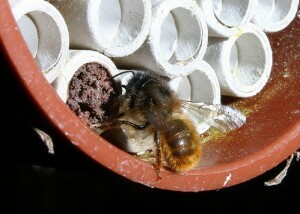 Solitary bees including The Red Mason can often be seen in gardens, school grounds, parks and allotments. All winter Red Mason Bees will spend their time in a cocoon asleep in a state of hibernation. Come spring when the weather starts to warm up the Adult Males and Females will awake and go in search of food. For the next 14 days the Bees will feed and get stronger and at the end of this period the Males and Females will mate. Shortly after, their work finished, the Adult Male Red Mason Bees will die leaving the Female for the next 8 to 10 weeks to gather pollen and nectar to line the walls of your Bee Box. 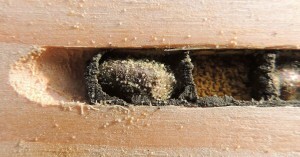 Only when the holes inside your Bee Box are filled with pollen will the Female Red Mason Bee start to lay her eggs. 6 to 10 in each tube. Each egg surrounded by pollen is separated from the next by a mud wall and this cell will be the young bees home until it exits the Bee Box next spring. Exhausted and her work done the Female Bee will now die. By mid-late July It is very unlikely you will see any Adult Female Red Mason Bees in your school grounds collecting pollen. So now is the time to switch on your laptops and tablets and watch the eggs hatch in to larvae before they pupate and start to spin their brown and purple cocoons! Next report Monday 30th April 2018. How do Female Red Mason Bees gather their food? 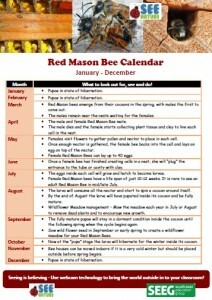 Click on the images below to download your Red Mason Bee Calendar and Friends of the Earth Bee Identificaton Guide.